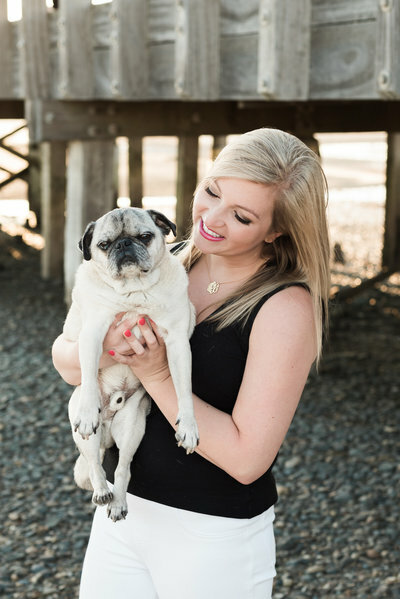 I'm Morgan, east coast wedding photographer (and pug lover). That's me and Oliver at one of our favorite spots, Duxbury beach. I capture candid moments and real emotions of couples who are laid back like me and Ollie. Keep scrolling to check out my recent work! Today I’m going to talk about a super fun topic- print quality! For all of my wedding packages, my clients receive printing rights. This means you can either order your prints directly through me (and my professional lab), or you can take the files elsewhere to be printed. 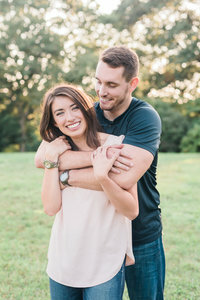 Today I’m going to talk about the difference in quality and why you might want to consider ordering through your photographer. I feel very strongly about the importance of printing your photos. I know that we live in an increasingly digital age where people use Instagram in place of photo albums, which is great, but it’s still so important to have some long-lasting, high-quality, printed heirlooms of important events in your life (such as your wedding!). I hadn’t printed anything at CVS in a long time so I recently got curious and went down with some files to see what the quality would be like. I knew it wouldn’t be great but I thought maybe it would be fine if you just needed a few quick prints. I was actually horrified at the results and that prompted me to write this post. Let’s take a look at a few examples side by side! In all of the following examples, the print on the left is from CVS and the print on the right is the exact same file printed by my professional lab. I did my best to photograph these side by side comparisons in even natural light to see the difference. In this first example you’ll notice the CVS print on the left is grainy and the colors are way off. The print on the right from my lab looks exactly as it does on my computer screen, because my screen is calibrated for the lab. I meticulously edit every photo I take in a very specific style, and when I print through my lab I know exactly what I will get. Let’s take a closer look! You can really notice the problems with the grain in the hair and on the faces here. The skin tones are also off. Probably the most obvious example is this black and white print! I think it is pretty clear that the one on the left from CVS is green, not black and white. That’s pretty much all I need to say about that one. In this example, the top print is from CVS and the colors are oversaturated and almost neon, compared with the more realistic hues in the bottom print. The print on the left from CVS is again extremely grainy, the colors are off, and it’s overexposed. The color and exposure of the print on the right are exactly how I edited it to be on my computer screen. Here’s another close up to really show the difference with the grain in the hair and the skin tones. I didn’t go to multiple different drug stores and compare quality but the fact of the matter is, I can not guarantee the quality of your prints unless you order through me and my lab. Some drug stores might be slightly better than others but none will be great, and none will be of archival quality and guaranteed to last a lifetime. The already poor quality prints will fade in the sun and over time. Highest quality print with no grain or oddly tinted colors. Archival quality materials and inks that are guaranteed to last a lifetime or longer. Higher quality paper, inks, and special coatings that ensure your images are resistant to fingerprints, dust, and fading. It’s super easy to order through your online gallery, everything is already uploaded!